What Does sk Mean in Crochet? 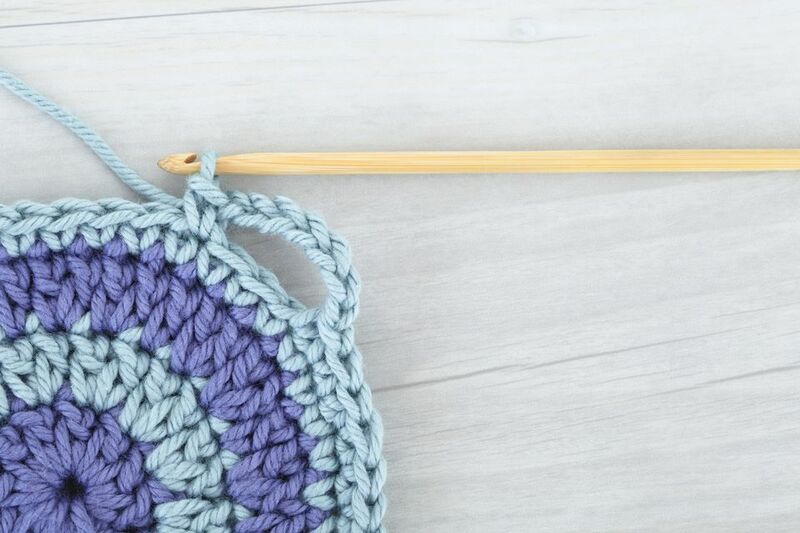 When you first learn to crochet, it can seem like you are learning an entirely new language. In fact, a crochet pattern can be completely indecipherable for beginners. You have to learn the stitches. Moreover, you have to learn the abbreviations that go along with each stitch. Once you do, the language will be easy to follow. However, at the beginning, you will have a lot of questions. For example, you might ask, "what does sk mean in crochet?" The crochet abbreviation sk stands for "skip" or "skipping a stitch." Typically, in crochet, you work your next stitch into the next available space. However, if a crochet pattern asks you to "sk" then you aren't going to do that. Instead, you will work the instructions up to the point where the skip is commanded. Then you will skip that stitch. You might even skip multiple stitches if the pattern calls for it. Then you will proceed to work the pattern instructions in the following stitches. Skip is also used in crochet instructions to tell you to skip a chain or another part of the pattern you have been working. Therefore, although you will usually be skipping stitches, you might also be skipping chains or spaces. The instruction to "skip" in crochet can be used for several different reasons. You will also use skip when creating a buttonhole. Of course, this is just another type of lacy hole, but it is an important feature for many projects, such as crochet sweaters. In this case, you will chain one or more stitches, skip the next stitch (or stitches) you would have worked on the prior row, and resume crocheting into the stitches after that number. This creates the hole you will need as a buttonhole. This provides you some insight into a key aspect of "sk" in crochet. Sometimes you will just skip the space and keep working. On the other hand, sometimes you will crochet as many chains as there are spaces in the skip. The effect is different depending on those instructions, with the latter being more lacy and open. Skip is also used as a way to decrease. If you don't add the chains (as described above) to match the number of spaces that you're skipping, then your row will have fewer stitches than the prior one because of the skip. This is a decrease, which can be one way to create specific shaping in a crochet pattern. Sometimes skip is used in combination with other instructions to create a unique texture for a project. For example, skipped stitches are used in the long double crochet with a crossover, a stitch that gives a specific textured look to a crocheted design. Sometimes sk (or skip) is used to tell you to not perform part of an instruction string you have been using for one or more rows. Example: hdc in next hdc, sk next ch, hdc in next hdc. This translates to, "half double crochet in the next half double crochet, skip the next chain, half double crochet in the next half double crochet. As you might gather from the example, seeing sk or skip in instructions can sometimes lead to confusion. It can be helpful if the instructions include parentheses or brackets or spell things out rather than using abbreviations. Unfortunately, that is not always the case. You may have to review the instructions carefully to determine what they mean precisely. What are they attempting to do with the skip? Is it to create a hole, decrease, or add texture? If you are confused, try working the pattern experimentally to see if you are getting the desired result. One of the best parts of crochet is how easy it is to tear out a row that wasn't working right. (That's called frogging, by the way.) If you don't want to try it with the yarn you are using for the project, try it with some inexpensive yarn you have on hand. It will be worth the time and effort to make sure you are ready to perform the instruction on your main project. In rare cases, the instructions may even be misprinted or incorrect. With your test, you may be able to tell what they meant to say.